Girls see little difference between genders when it comes to financial capability, with seven in ten saying that both men and women are equally likely to be financially responsible (73 percent) or in a lot of debt (72 percent). The vast majority of girls (94 percent) would rather make their own money than rely on their parents, and 80 percent would rather make their own money than marry someone who would support them financially. Nearly all girls say it is likely that they will have jobs or careers they enjoy (98 percent); be able to provide for their families (96 percent); and own their own homes (95 percent) one day. They are similarly optimistic about obtaining college degrees (96 percent); being able to retire comfortably (92 percent); being able to save a lot of money (90 percent); and making a lot of money (87 percent). 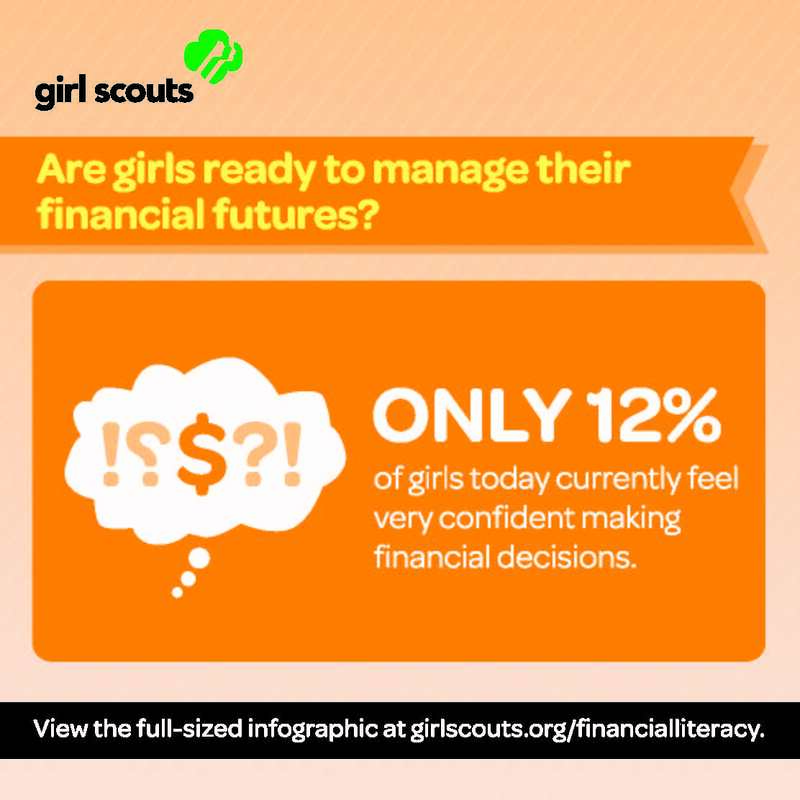 Nine in ten (90 percent) girls say it is important for them to learn how to manage money, and 88 percent say that it is important to set financial goals. 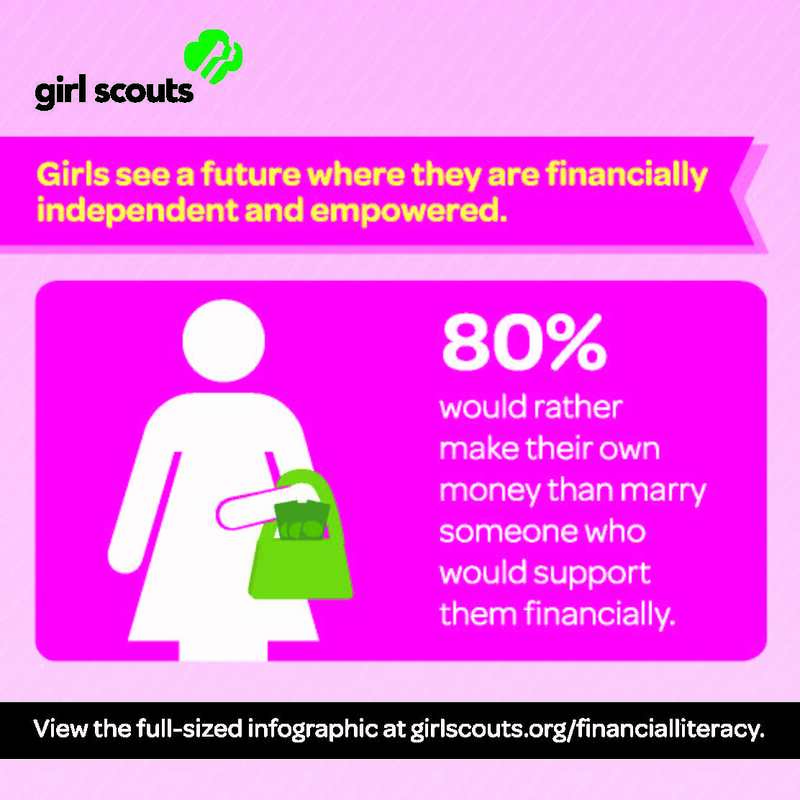 The financial education girls receive through the Girl Scout program empowers girls to become financially sound and successful women. Thank you for your support of these programs; be it through volunteering, by supporting a Girl Scout or by purchasing Girl Scout Products. For a full look into this study visit the Girl Scouts Research Institute.